Rope : Navy velvet, 1500mm long x 25mm diameter. 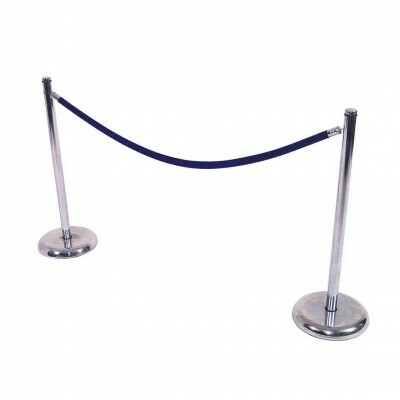 Stanchion : Pole - chrome, 900mm high. Base - chrome, 300mm diameter. Pricing is based on 1 Rope + 1 Stanchion. • Anywhere queue and crowd control is necessary. 800 wide x 300 deep x 830 high.